Edge Lacrosse continues to deliver the best club lacrosse experience in the world. We develop great lacrosse players, build work ethic, establish relationships and foster tremendous NCAA recruitment. Our most recent class had 34 NCAA recruits and our current 2020 class looks to be on a similar path. With success, often comes opportunity and new challenges. 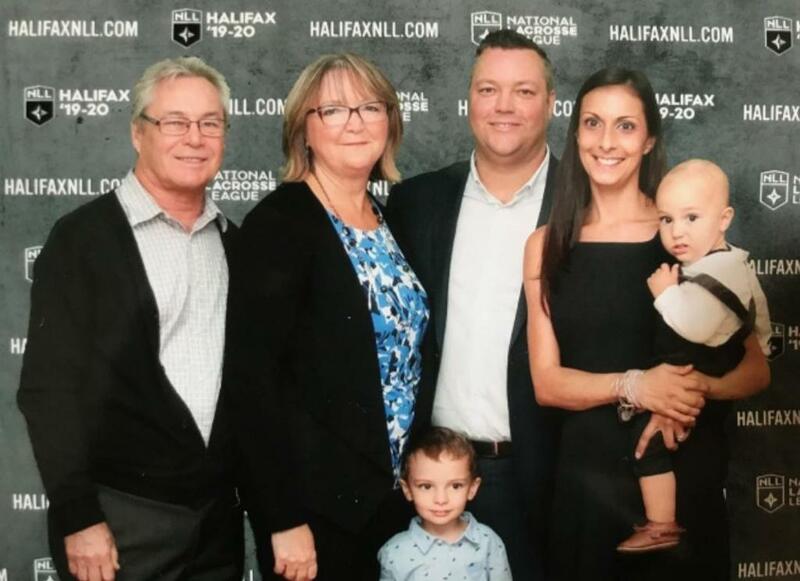 Stu Brown’s unparalleled success with the Edge program, Burlington Jr A, Rochester Knighthawks, and Team Canada, makes him the perfect candidate to take on an exciting new role with the NLL as President and CEO of the Halifax Franchise. This necessitates some minor changes within Edge’s day to day operations. Edge is excited about this new chapter and looks forward to expanding on our incredible reputation and achievements. Stu will remain heavily involved in all Edge business and continue to help emerging lacrosse players achieve their goals of high level lacrosse, specifically with regard to NCAA recruitment and business oversight. 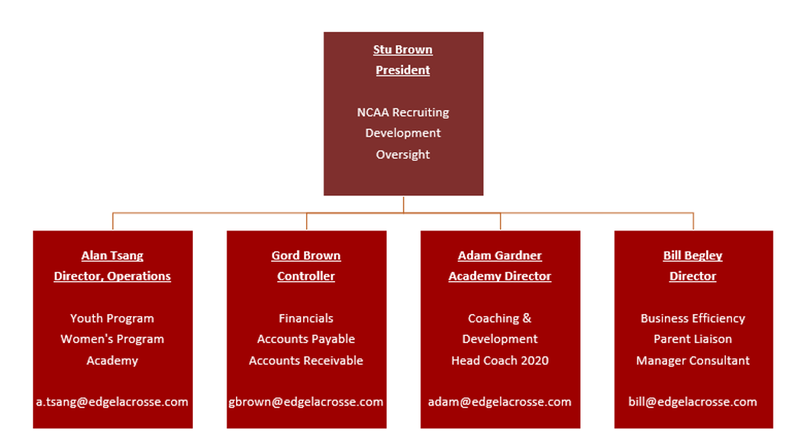 Please see below for our revised organization structure.